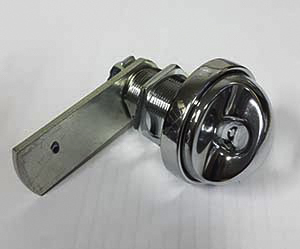 This lock is ideal replacement for Lockers that have a ASSA coin or cam lock. Ideal for replacing cam locks on Probe lockers. Available in bright chrome with a nickel barrel. 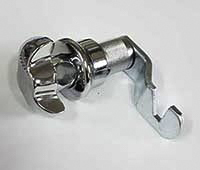 This latch lock is ideal for use with Metal Office Furniture. Refer to Technical Information section for details on cams and accessories. 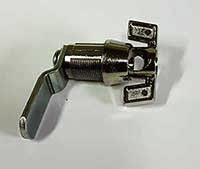 The lock is supplied nut fixed for ease of installation. Ideal for replacement locks on laminate door lockers, very strong and robust. 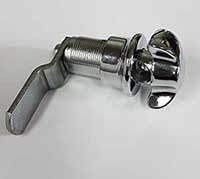 Nut fixed for easy installation. Use the back plate to convert any Euro coin lock to hasp lock.